The building blocks of life have been discovered on Mars &mdash; in Martian meteorites that fell to Earth. The building blocks of life have been discovered on Mars — in Martian meteorites that fell to Earth. Let me rephrase that: According to a paper published in Science Express last Friday, meteorites from Mars have been found to contain the basic ingredients for life, as we know it. The last time a headline like this made the front pages of most papers was back in 1996, when evidence of organic life and "fossils" had been found in a meteorite, which had fallen to Earth, from Mars. But a few years later, after a lot more research, the results fell into dispute. 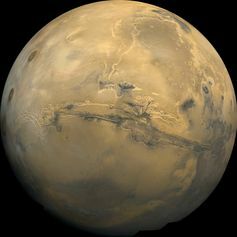 In the words of American astronomer Carl Sagan, "extraordinary claims require extraordinary evidence", and the evidence wasn’t quite enough to convince the scientists doing research on the evolution of life on Earth (or Mars). Now, some commentators are saying that the new data, published by a team of international researchers, proves that the 1996 meteorite didn't contain evidence of life. Others say that it proves that life could have existed on Mars in the past. The Martian surface doesn't look all that hospitable, but it could contain life. Some time later this year, or early next, you may be reading a newspaper headline stating that life has been found on Mars. Headlines such as these would come from the results of a new Mars rover named "Curiosity" — a scientific laboratory on wheels, which will land on Mars on 5 August. 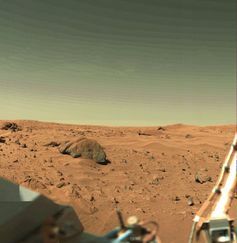 Its task is to take samples of Martian rocks and look for evidence of past life. It won't be looking for fossils or skeletons (although, if it found them, you'd hear champagne corks popping all over Earth). Curiosity will be looking for the chemical signatures of organic life, in the form of particular types of carbon compounds. To make life, you need carbon — preferably in the form of "reduced" carbon compounds. The Science Express paper tells us how these have now been found in a number of meteorites from Mars. 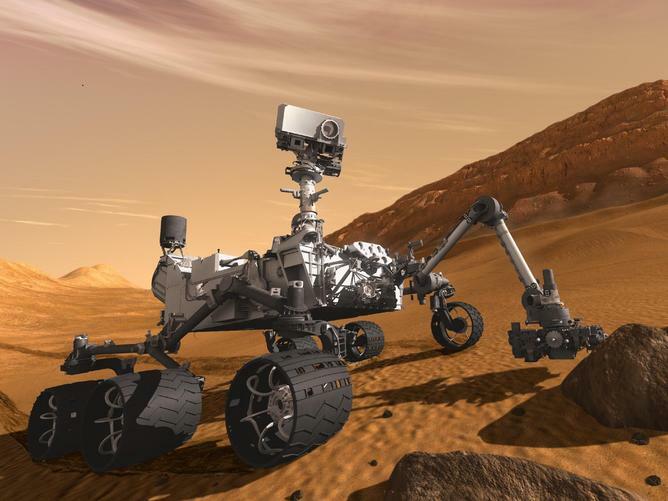 NASA's Curiosity rover touches down in August and will resume the search for life on Mars. So, what's so interesting about carbon? Carbon is the stuff that diamonds are made of, but not all carbon makes gemstones. Some of it makes up graphite (the lead in pencils), while other arrangements of carbon atoms make up "buckyballs" and nanotubes — the toys of nanotechnology. Life on Earth isn't made up of any of these forms of carbon: it's composed of "organic" carbon — long chains of carbon atoms that are joined to other elements such as oxygen, hydrogen and nitrogen. The oldest forms of organic carbon we've found on Earth are "reduced" carbon chains, trapped in rocks that would have formed in ideal conditions for life to survive. And, once these are around, any living organisms can use them to make more of themselves. There's a chance we could find life on Mars within a year — if it's there. And, it is these types of reduced carbon that have now been found in meteorites from Mars. It means that you’ve got the ingredients for potential life in rocks from another planet. It means that Curiosity has a much better chance of finding what it is looking for. As mentioned, the carbon found in these meteorites was not made by living things — it was made through natural chemical reactions that do not involve life. This means that, when we look at the results coming from Curiosity later this year, we will have to take a lot more care to make sure the types of carbon found contain the signatures (isotopic fingerprints) of having been made by life. Fortunately, that is well within the capability of Curiosity's mobile laboratory. So, put the champagne on ice — the search for life on Mars is about to get interesting. Marion Anderson does not work for, consult to, own shares in or receive funding from any company or organisation that would benefit from this article, and has no relevant affiliations.